Moody Motorcycle is a collection of songs by Human Highway, the new collaboration between two of Canada’s most-loved troubadours: Jim Guthrie and Nick Thorburn. Fittingly, Human Highway began on the road. “For me, Human Highway started in a hotel room on a U.S. tour with Islands,” Guthrie says. “Nick had this rad song called ‘My Beach’ and asked me if I wanted to help him record it. He played and sang at the same time and let me be for a bit to do harmonies.” Over a year later Thorburn spent a week with Guthrie in his Toronto apartment in 2007, and Moody Motorcycle was the resulting love-child. Both Guthrie and Thorburn have been long-time fixtures of Canadian pop music. Jim is best-known for his releases on Three Gut Records, both with Royal City and as a solo artist, when he received a Juno nomination for 2004’s Now, More Than Ever. Thorburn first gained international exposure with the Unicorns in 2003, and now fronts the super-pop group Islands. The two first came together during the recording of the first Islands record (Guthrie toured with the original line-up of the band, and also appears on the recording), and it was only a matter of time before the mutual admiration turned into a collaboration. Fittingly, Human Highway began on the road. “For me, Human Highway started in a hotel room on a U.S. tour with Islands,” Guthrie says. “Nick had this rad song called ‘My Beach’ and asked me if I wanted to help him record it. He played and sang at the same time and let me be for a bit to do harmonies.” At the time, however, there was no explicit goal to make a full record. Time passed as Thorburn continued to tour and work on a new Islands album (the recently released Arm’s Way), while Guthrie spent time at home in Toronto, working on his own material. Then they decided it was time to finish what they had started. 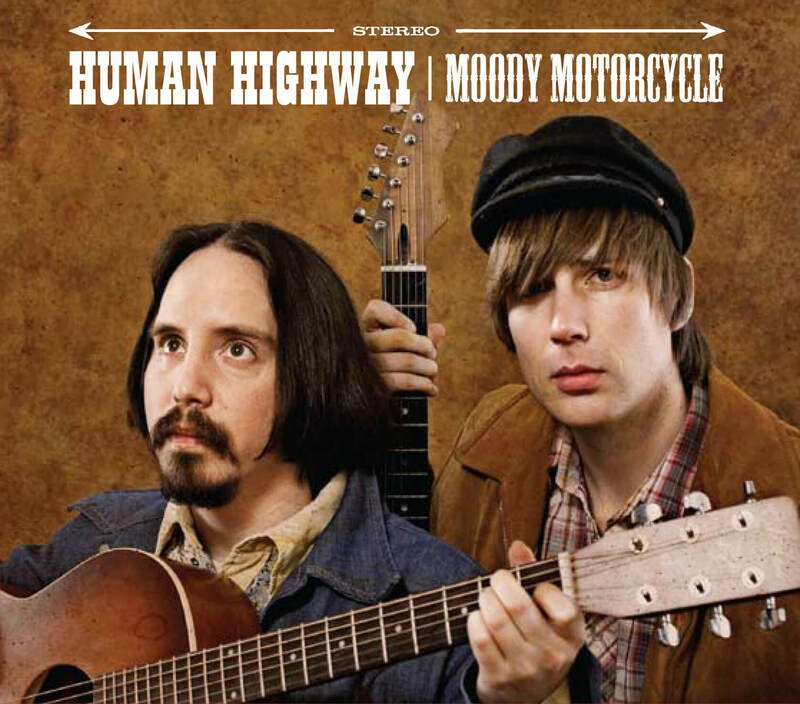 Thorburn spent a week with Guthrie in his Toronto apartment in 2007, and Moody Motorcycle was the resulting love-child.